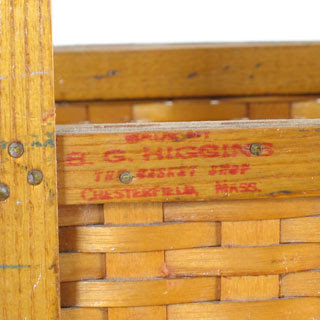 I love the Higgins basket. Do you know if the shop in Chesterfield, MA is still open and productive? 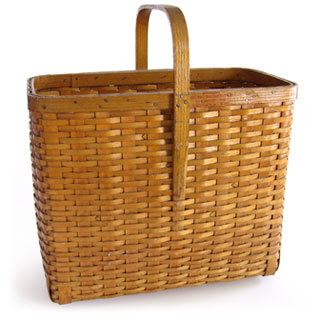 I have several baskets that I bought there in the 80s and 90s. I am Ben Higgins grandaughter and I am happy to tell you that the basket shop is indeed still opened. My uncle Milt actually runs the shop and makes baskets. I just bought a Ben Higgins basket! Do you have any idea why mine might be stamped with the initials "Jan L."? Thanks! Luci, it is my understanding that the basket shop has remained in operation after Ben passed away. My guess is that this is the mark of one of the past or current weavers.